The AKC world of dog events is divided into two distinct categories – conformation shows and companion events. 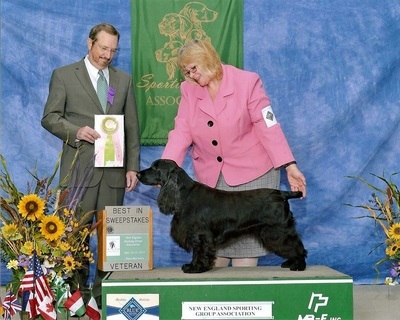 Conformation: Often simply called “showing” your dog is what Dog Shows are all about. While they may seem glamorous, the true purpose of conformation showing is to evaluate breeding stock. The dog’s conformation – his overall appearance, structure and movement – is an indication of the dog’s ability to produce quality purebred puppies, and that is what is being judged in the ring. That’s why mixed-breeds and spayed or neutered purebreds are not eligible to compete. Companion Events: These events were developed so ANY dog and anyone of any age could show off their athletic abilities and demonstrate the bond that can develop between a well trained dog and its owner. 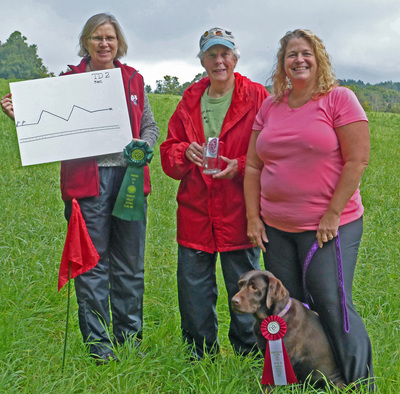 Companion Events consists of four different events: obedience, tracking, agility and rally. 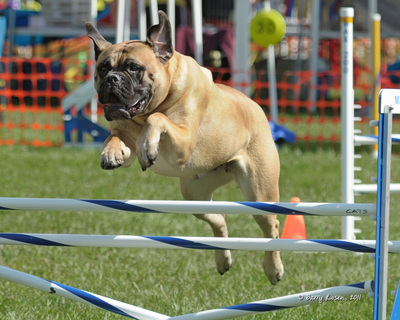 Obedience trials are one of the AKC's oldest traditions; it is truly a sport of finesse, precision and accuracy. Tracking evolved originally from obedience, but it has grown and developed into its own event that demonstrates the dog’s natural ability to recognize and follow a scent. Agility is a fast-paced obstacle course that relies on nearly flawless communication between handler and dog. AKC Rally is the newest event to join the Companion Event family and it was developed after rally-style auto racing. 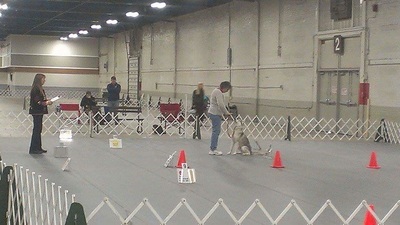 The dog/handler team must navigate a course made up of directional signs. Each course is unique and different; it is great for first-time competitors or anyone new to Companion Events. Pioneer Valley Kennel Club holds two All Breed Dog Shows a year and multiple Companion Event Trials and Tests. Just follow a link below for the show or trial that interests you.